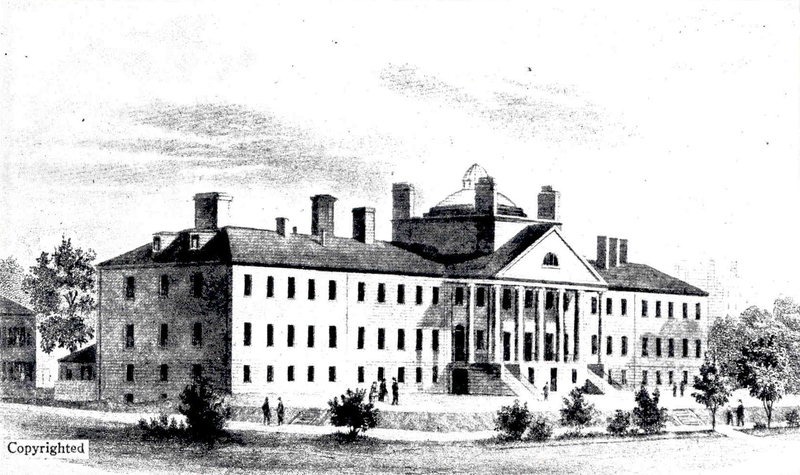 Founded in 1811, the Massachusetts General Hospital (MGH) is the third oldest general hospital in the United States. In the early 1870s, James Jackson Putnam was named “Physician to Out Patients with Diseases of the Nervous System.” He is considered the pioneer neurologist of New England, remaining active clinically and academically until 1912. The official Neurology Department was formally established in 1911, and in 1912 E. Wyllys Taylor was named chief after Putnam stepped down. In 1926, a Neurological and Neurosurgical Ward opened, and a year later James B. Ayer was made chief of the service. Charles S. Kubik succeeded him in 1946, followed by Raymond Adams – who was invited to return from Boston City Hospital as Chief in 1951. Support for research has long been as an essential and imperative part of the hospital’s function, and these early leaders of the MGH Neurology Department certainly fostered such exploration. MGH had the first laboratory of electroencephalographyin a US hospital and the first spinal fluid lab in the country. In 1951, Dr. Adams focused research on how immunopathology played a role in number of neurologic diseases, notably multiple sclerosis. Researchers at that time also developed first the experimental model of Guillian Barré syndrome, investigating the blood-nerve barrier and mechanisms of delayed cellular immunity. In addition, many diseases received their first or most definitive clinical and pathologic descriptions through the astute observations of MGH neurologists. For example, early MGH researchers proved the mechanism for delirium tremens and Korsakoff’s psychosis, identified the neuropathology of nutritional optic neuropathy, and defined cerebellar hemorrhage as a clinical entity. Due to the painstaking work of Dr. C. Miller Fisher, many of the lacunar stroke syndromes were identified, as well as the pathogeneses of small vessel infarction and carotid stenosis. In late 1952, Dr. Adams helped establish a division of pediatric neurology at the MGH. Throughout the 1970s and 80s, researchers collaborated with the Fernald State School to study the diagnosis, treatment, and prevention of neurologic diseases causing cognitive dysfunction and other disabilities. 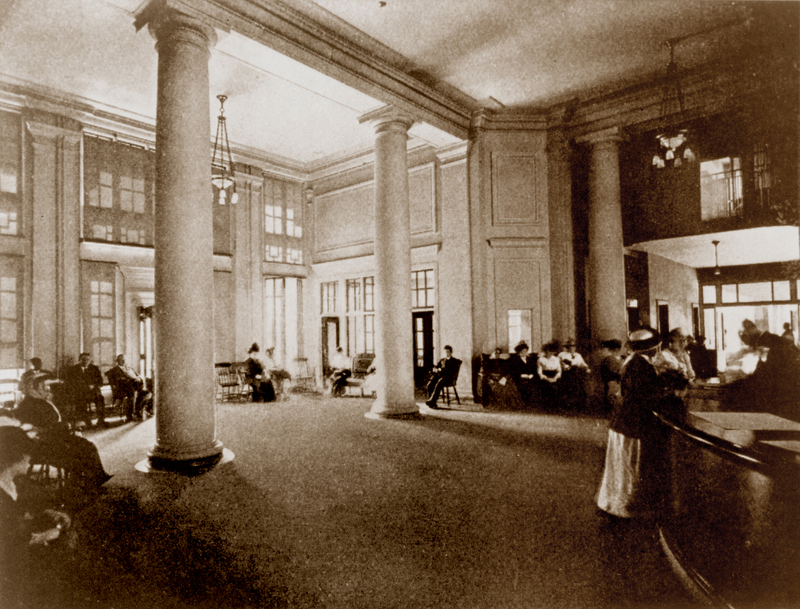 The MGH Ether Dome is the site where the use of inhalational ether revolutionized surgery in the early 20th century. It is now the site of weekly grand rounds for the MGH Neurology Department. When Dr. Adams retired in 1978 and Joseph Martin assumed the position of chief, and led the department until he left in 1989 to become provost at UCSF, and later Dean of Harvard Medical School. In 1991, Dr. Anne B. Young became MGH’s first female chief at the hospital, and the only female chief of neurology at an academic hospital in the country. In 2001, Dr. Young founded the MGH Institute for Neurodegenerative Disease (MIND), whose mission is to translate laboratory discoveries into prevention,treatment and cures for ALS, Huntington’s disease, Parkinson’s disease, Alzheimer’s disease, and other neurodegenerative conditions. In 1995, she and Dr. Martin A. Samuels (Chair, Brigham and Women's Hospital) established the Partners Neurology Residency Program. In 2012, Dr. Merit Cudkowicz, a pre-eminent ALS researcher succeeded Dr. Young as chair of the Department of Neurology at MGH. The MGH remains committed to strong clinical excellence and training the next generation of neurologists and neuroscientists. Today there are over 80 clinical neurologists and over 200 research neurologists at the MGH, with 8 divisions encompassing all major subspecialties of neurology. MGH also continues its strong commitment to research, with a hospital-wide annual budget of close to $1 billion. It has the largest hospital-based research program in the country. 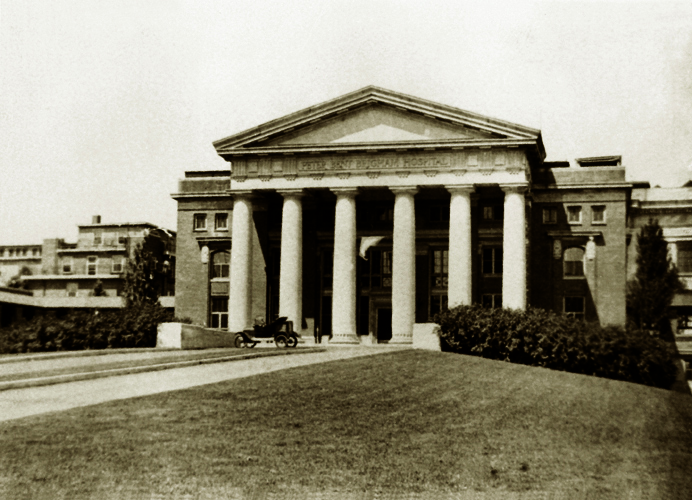 The Brigham and Women's Hospital was formed by a 1975 merger of three pre-eminent Boston academic centers: Peter Bent Brigham Hospital (1911), the Robert Breck Brigham Hospital (1914) and the Boston Hospital for Women, itself the result of a merger of the Boston Lying-In Hospital (1832) and the Free Hospital for Women (1875). While the Robert Breck Brigham Hospital Excelled at rheumatic conditions and the Boston Hospital for Women was a leader in gynecology and obstetrics, it was in early days of the Peter Bent Brigham Hospital that neurology took root. When the Peter Bent Brigham Hospital opened in 1913, Harvey Cushing was recruited to be the first surgeon-in-chief. Cushing, the founder of modern neurosurgery, made several important innovations, such as the use of meticulous aseptic technique, the integration of early radiology (very soon after the discovery of the X-Ray), the integration of neuropathology with neurosurgery,and the adoption of technologies such as the use of the Bovie microcauterizer and the use of the sphygmomanometer in the operating room. He stayed at the Brigham until 1933. 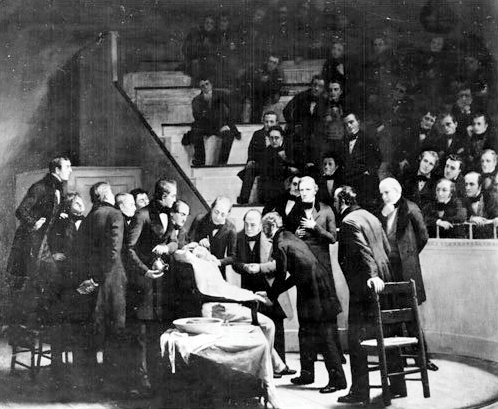 During the Cushing era, Henry Christian was the physician-in-chief. When Soma Weiss succeeded Christian as the Hersey Professor and Physician-in-Chief at the Brigham, he recruited John Romano, then at the Boston City Hospital, to provide specialized care in neurology and psychiatry. For the next three years,Houston Merritt, also from the Boston City Hospital, made Tuesday afternoon rounds with John Romano on all the neurological patients identified during the week. In 1941, George Engel arrived at the Brigham where his studies with John Romano on delirium and syncope grew into what was to be the birth of psychosomatic medicine in North America, work that was then continued by Drs. Romano and Engel at the University of Cincinnati and the University of Rochester. Throughout the rest of the 1940s and early 1950s, neurological consultations were carried out by a number of distinguished neurologists including Augustus Rose, Derek Denny-Brown, and Raymond Adams all based at the Boston City Hospital. Roy Swank, a specialist in multiple sclerosis, based most of his practice at the Brigham until the mid-1950s. In 1956, George Thorn, the Hersey Professor and Physician-in-Chief who had succeeded Soma Weiss, recruited H. Richard Tyler to become the first truly full-time neurologist at the Brigham. Dr. Tyler had completed his internship at the Brigham followed by neurological training under Derek Denny-Brown at the Boston City Hospital. David M. Dawson joined Tyler shortly thereafter, followed by H. Harris Funkenstein in stroke and Mark Hallett as the founding director of the clinical neurophysiology laboratories. During the Tyler era, the neurology division remained in the department of medicine, but grew impressively with the addition of a major basic research program led by Dennis Selkoe in Alzheimer disease and Howard Weiner in multiple sclerosis. From the early 1960s onward the Brigham was part of the Harvard Longwood Neurology Residency Program. In 1988, Martin A. Samuels succeeded Tyler as neurology division chief and in 1995 led the creation of an independent Department of Neurology at the Brigham. When the Partners Health Care system was created in 1995, with its anchor academic medical centers of the Brigham and MGH, the Partners Neurology Residency Program became one of the first merged training programs,graduating its first cadre of residents in 2000.